Warm temperatures will return by the weekend, but last night's storm brought us the first rain of the season. Everything was sparkling and clean in the early morning sunshine. 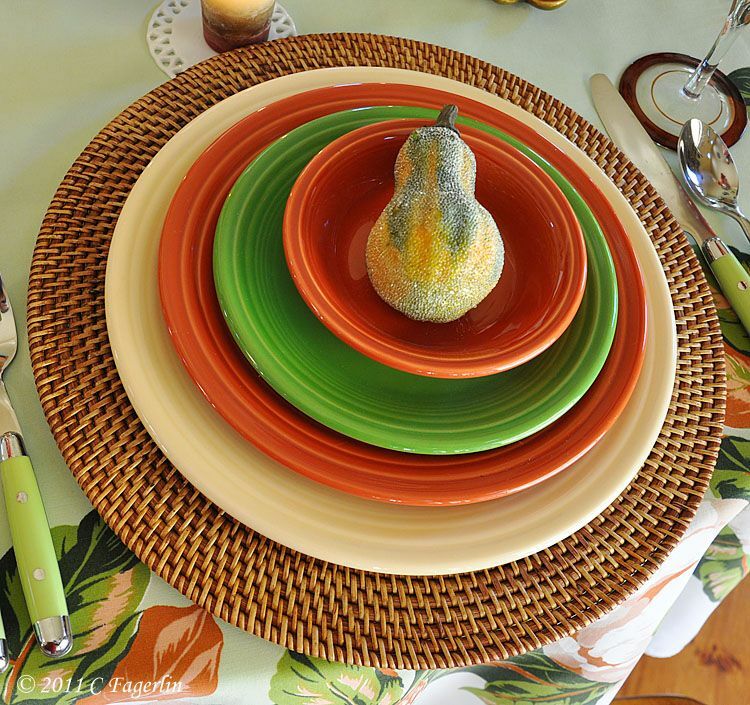 Today's table surely reflects the coming of Fall here on the West Coast. 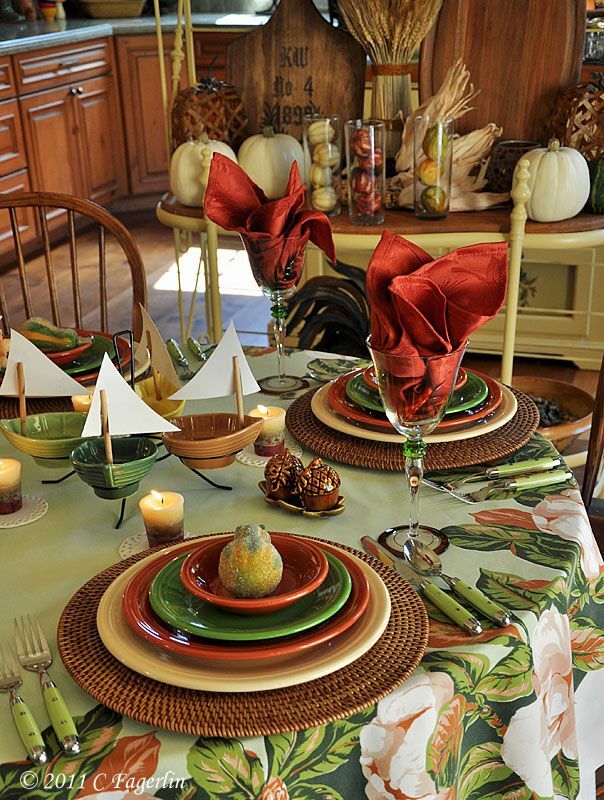 The tablecloth is a vintage California Hand Prints called "Southern Belle." 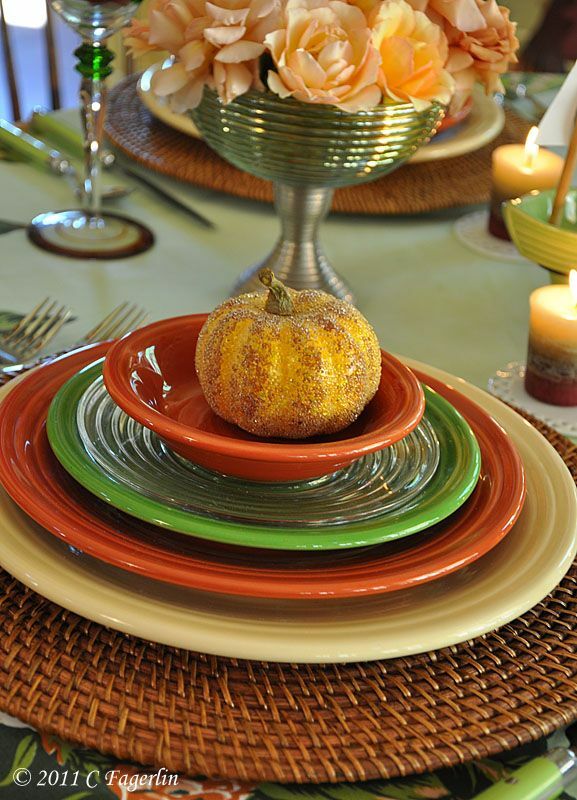 Contemporary Fiesta in Ivory, Paprika and Shamrock. Additional details at the end of today's post. Absolutely beautiful. Love the baker's rack...great idea. 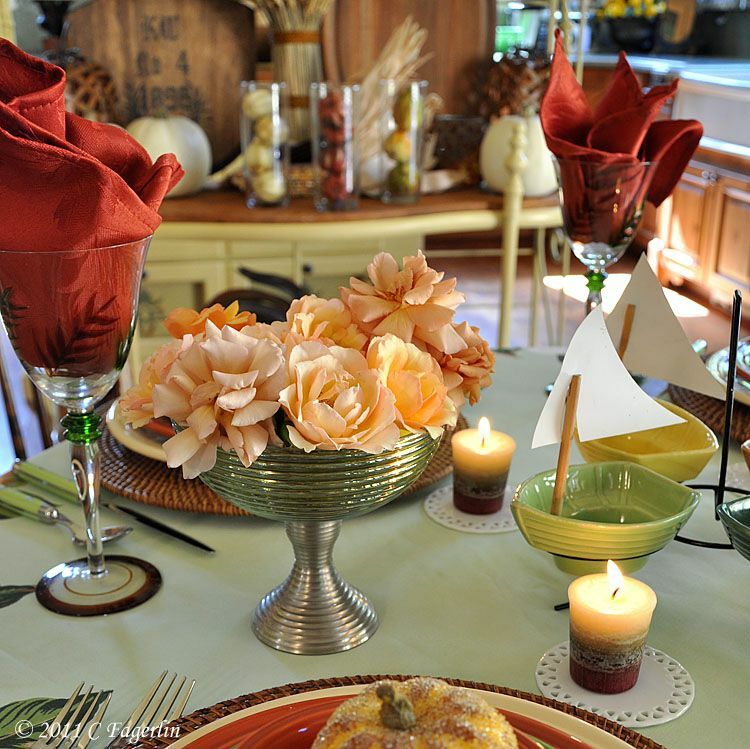 Your table is cozy and warm for fall. I like the tablecloth too! Beautiful post. 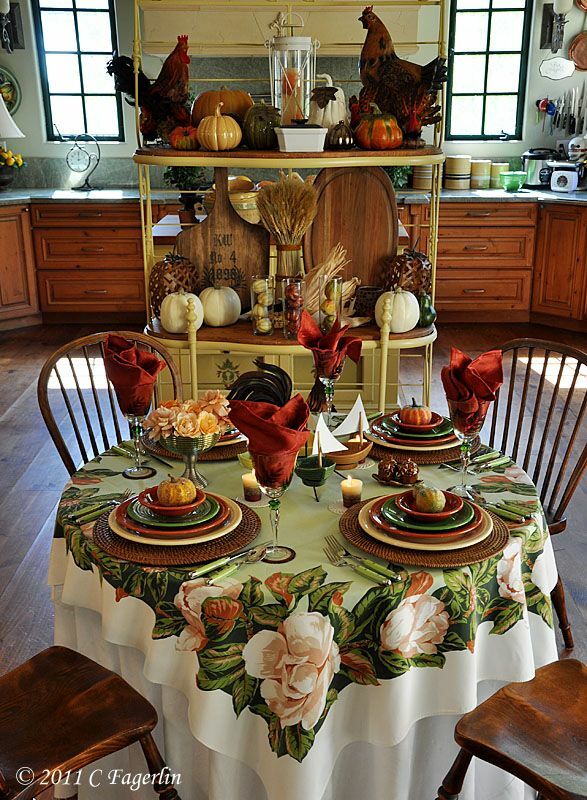 What a beautiful fall table. I love all the beautiful colors, and those little S & P's are so cute!! 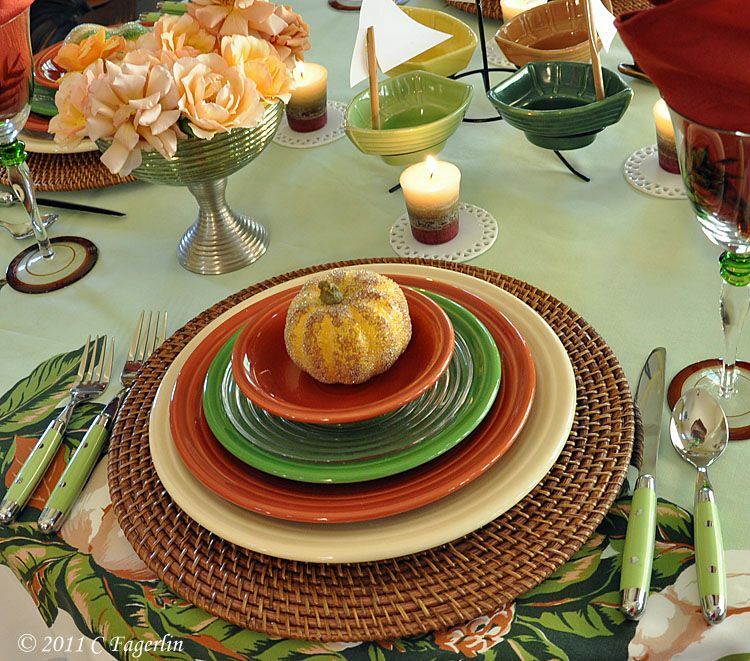 Very colorful, and perfect for fall!!! Beautiful rich shades for Fall. This is a beautiful blend of color! 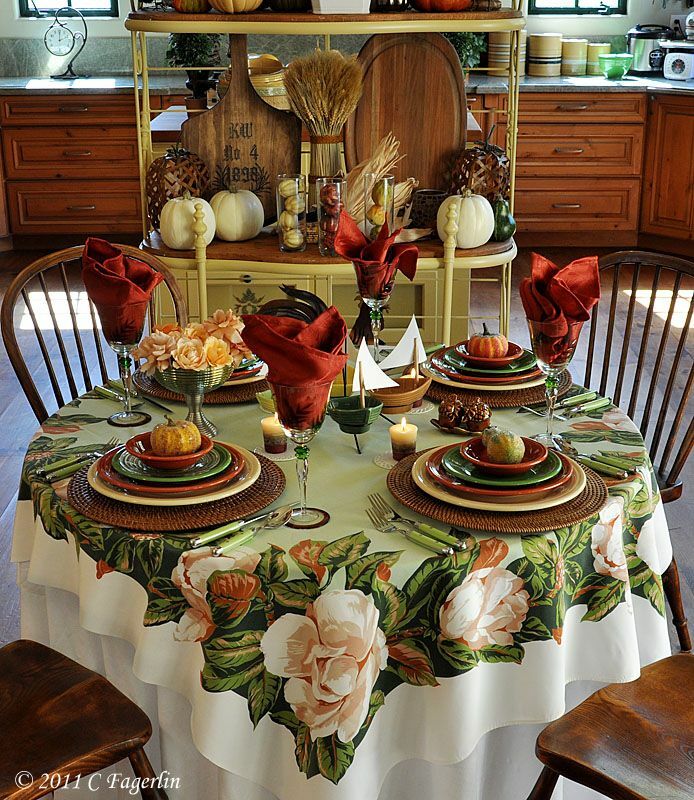 The vintage tablecloth is spectacular! (envy, envy) I love your garden roses too! 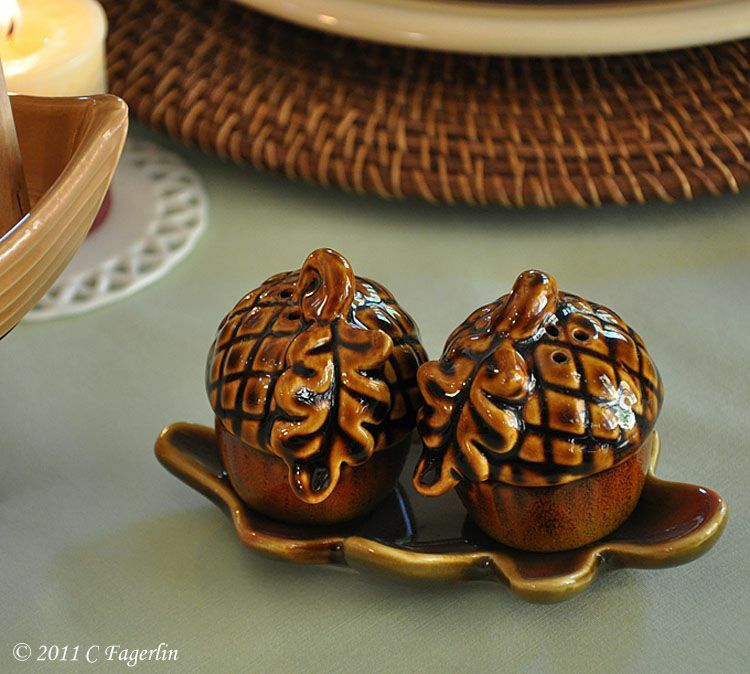 I would not have thought about magnolias for Fall, but they are perfect on TLRT! Paprika is such a wonderful color, isn't it? 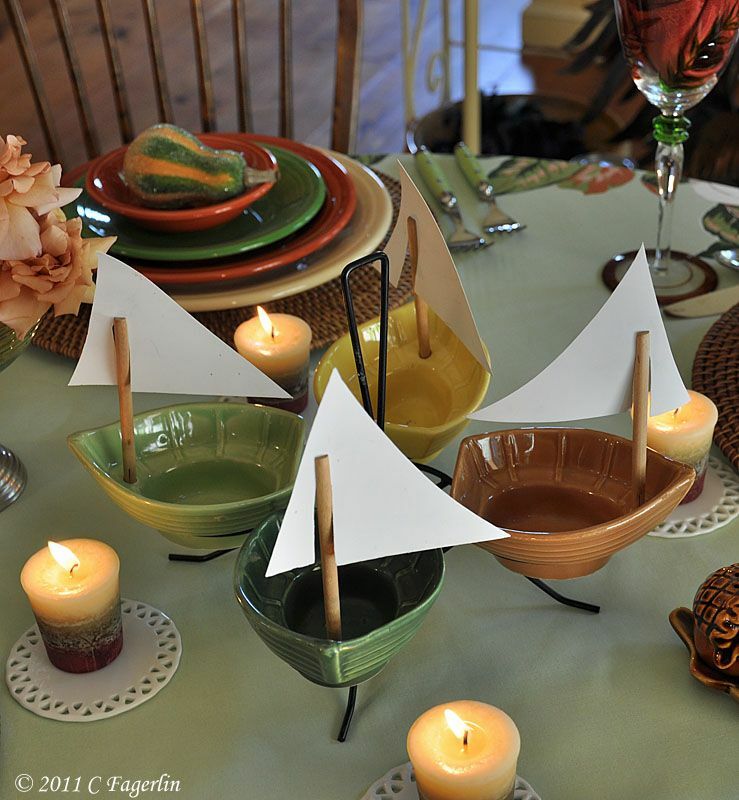 Happy Tablescape Thursday! This table is really something! Beautiful everything! Glad to "see" you! Hope Mr. TLRT is feeling better. 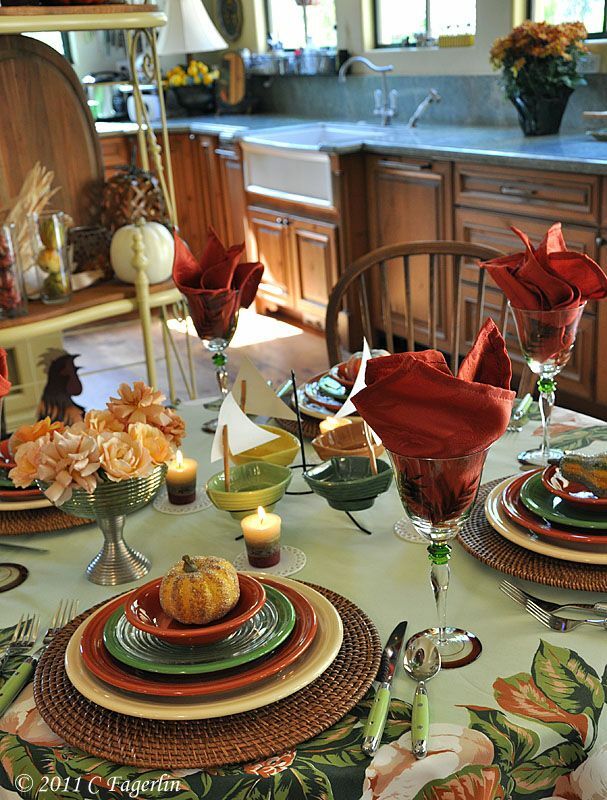 Your tables are always beautiful, but I think the colors of this one are just exquisite!! Something about that rust color is so gorgeous! Very autumnal!! Your table is gorgeous. I love seeing your shrimp boats. 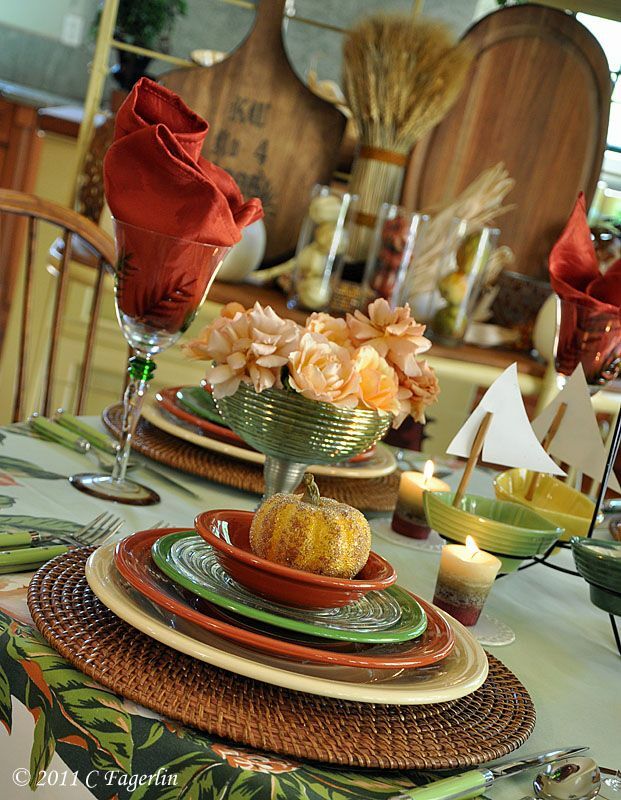 Your colors and setting are perfect for Fall. I love your baker's rack display and your attention to detail. Do you do anything special, other than rose food, to get so many beautiful roses? Absolutely gorgeous roses.